When people walk up to your house, what do they see? If you have a courtyard, it’s that! You want your courtyard to make a statement. When people walk up to your house, what do they see? If you have a courtyard, it’s that! You want your courtyard to make a statement. 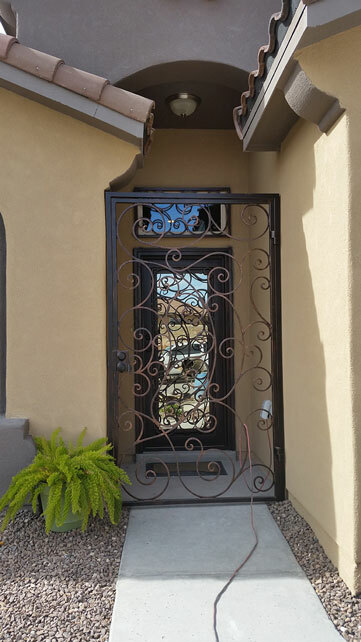 With a courtyard wrought iron door from Atrium Wrought Iron in El Paso, you can do just that. 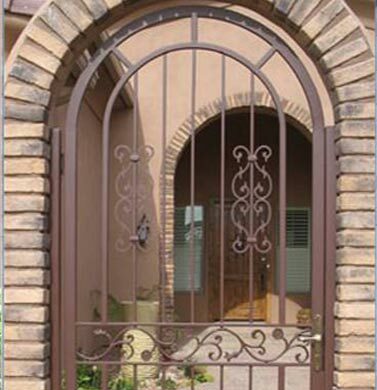 Here are some of the benefits of having a nice, wrought iron courtyard door in your front yard. Your house is your canvas and you can decorate, remodel, and spruce up as you please. 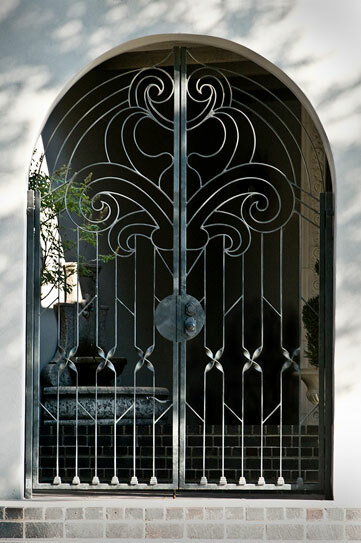 Adding a wrought iron courtyard door to your courtyard is one of the best ways to do so. You can use it to make a fashion statement or to add to whatever theme you already have going on in the courtyard. 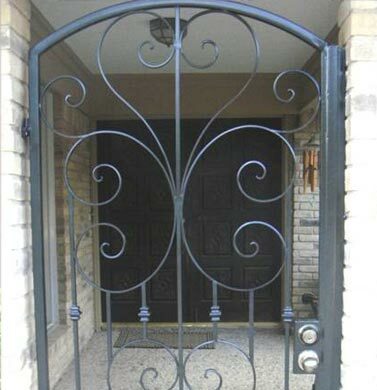 We offer a variety of designs and will work with you to custom design the best one for your home. 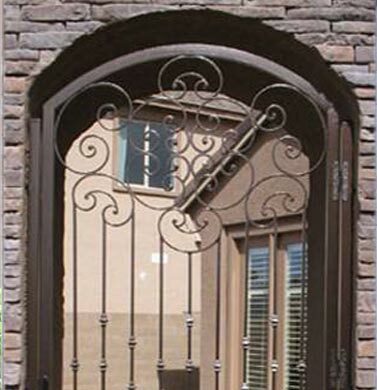 Another great aspect of wrought iron courtyard doors is that they make good first impressions. When guests and loved ones walk up the path to your front door, walking through the courtyard door, they will be impressed. It can be a great conversation piece and give your guests a positive impression of your home. 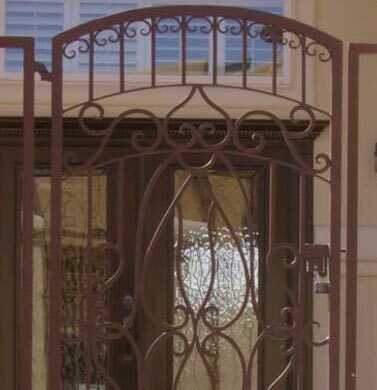 Plus, we use only the best materials, so your courtyard door will hold up no matter what the weather is like, making it an even more impressive feat. 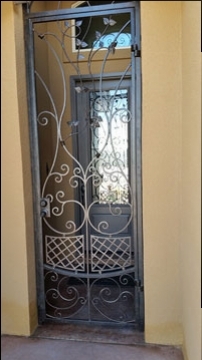 Courtyard doors also make your home safer. 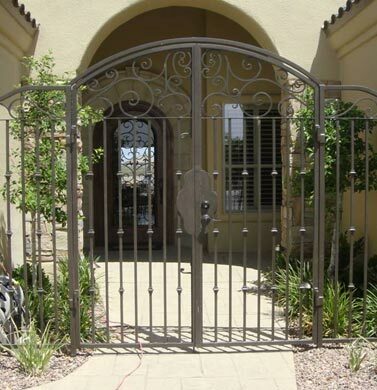 We offer doors that lock and with how sturdy the final product comes out to be, your home will be safer from intruders, burglars, and vandalism. 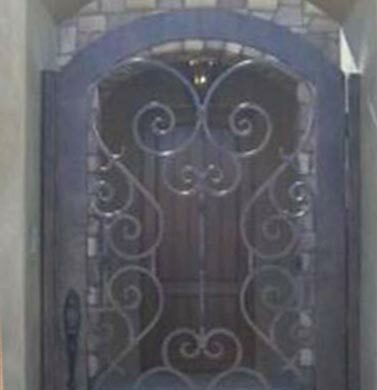 Our doors are sturdy and difficult to cut through, so when it’s locked, you can rest assured people will have a hard time getting in. 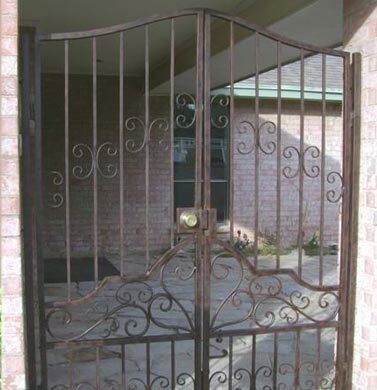 This adds an extra layer of safety to your home. 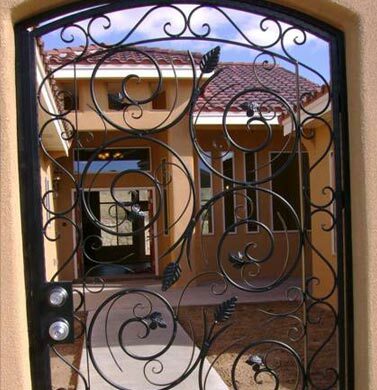 If you ever choose to sell or rent out your home, having a nice wrought iron door for your courtyard will add value to your home and can be used as a selling point. When prospective buyers visit your home, the first thing they notice is your front yard and curb appeal. 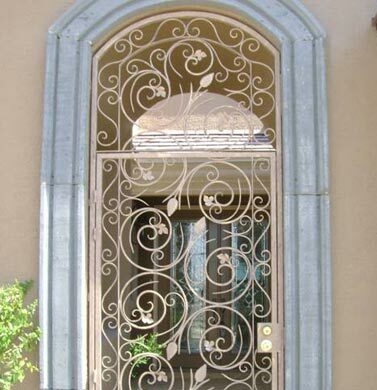 A wrought iron courtyard door can definitely improve their first impression. Call us today to learn more about how we can help you!